Live coding workshop hosted by Stephen Todd, Peter Todd and William Latham and held at the Phoenix Gallery, Brighton. Stephen Todd was a collaborator with William Latham in his pioneering computer artwork of the late 80s and 90s. Peter Todd was creative coder for whom these concepts shaped his formative years. Together they presented a computer art workshop for the curious layman. Participants learnt how a few lines of code can open up a mesmerising and chaotic world of generative virtual sculpture and imagery. They learnt how the machine can act as a kind of creative partner in this process, using evolutionary algorithms to explore the aesthetic landscape of the potential variations inherent in that code. 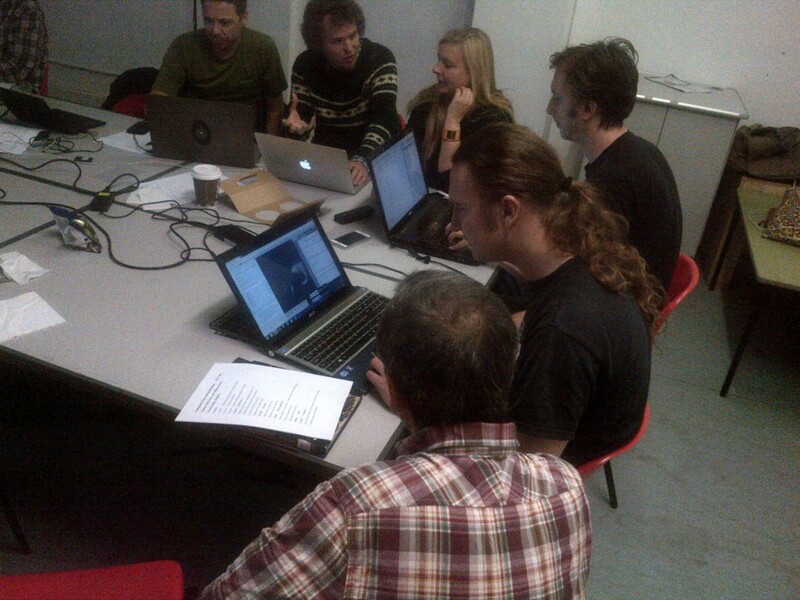 Photo of Live Coding Workshop.